This Post discusses about SLD Configuration in Earlier Versions of EP (Visual Admin). 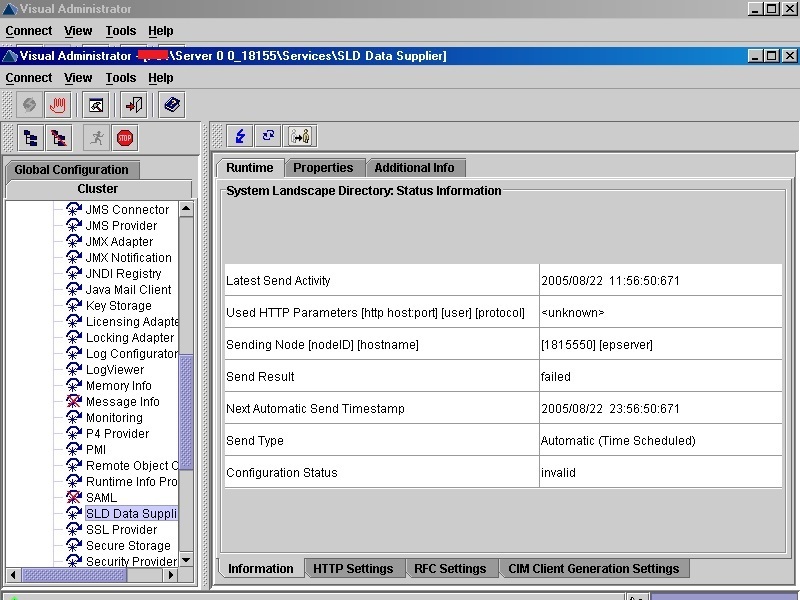 SLD maintains connection properties of java systems and sap backend systems. For Importing Webdynpro adaptive rfc model we need two prerequisites. 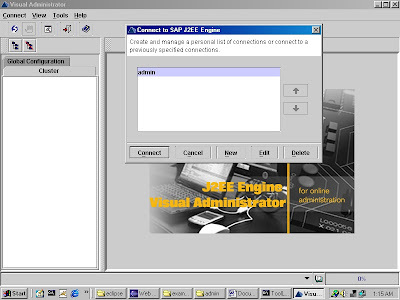 J2ee server connection properties are maintained in SLD using WEB AS JAVA technical system. 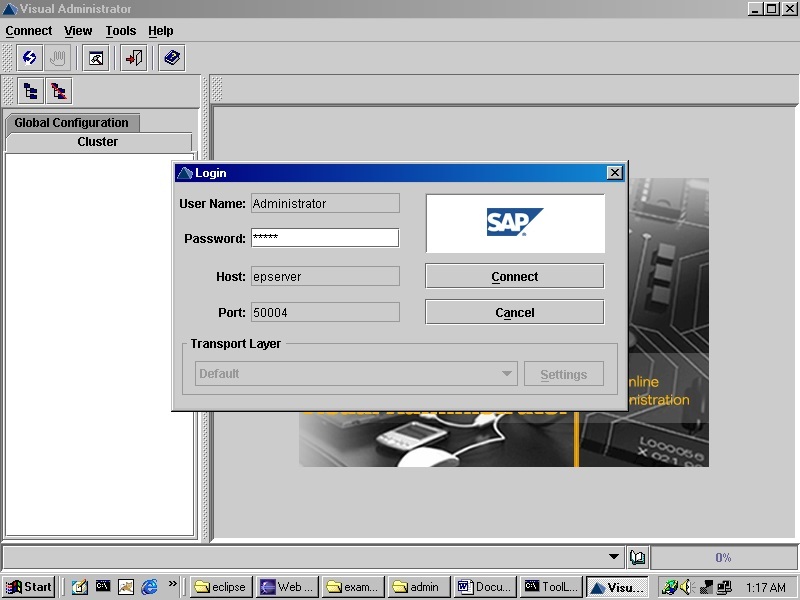 Sap ABAP system’s connection properties are maintained in SLD using WEB AS ABAP technical system. Jco destination acts as interface between web as java tech system and web as abap technical system. 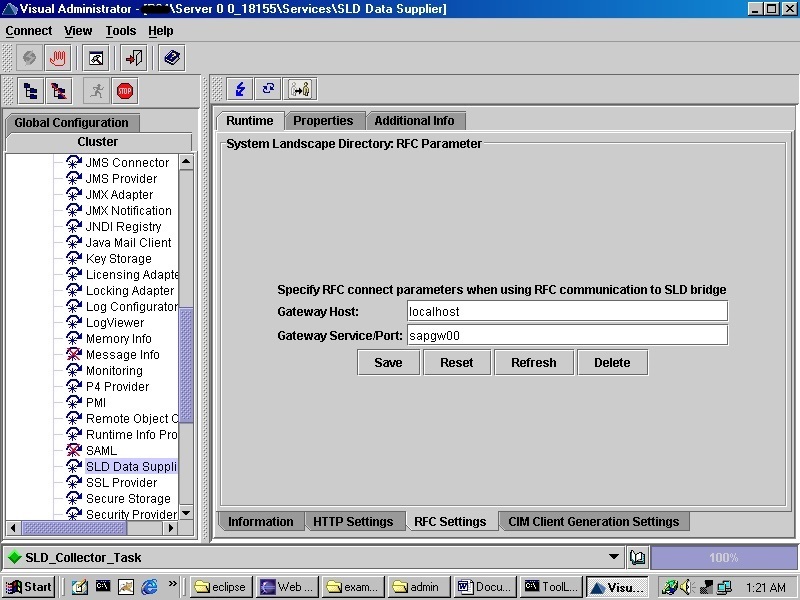 For SLD configuration LCR roles must be assigned to the administrator/User. For NWDI complete configuration we need two roles/groups. 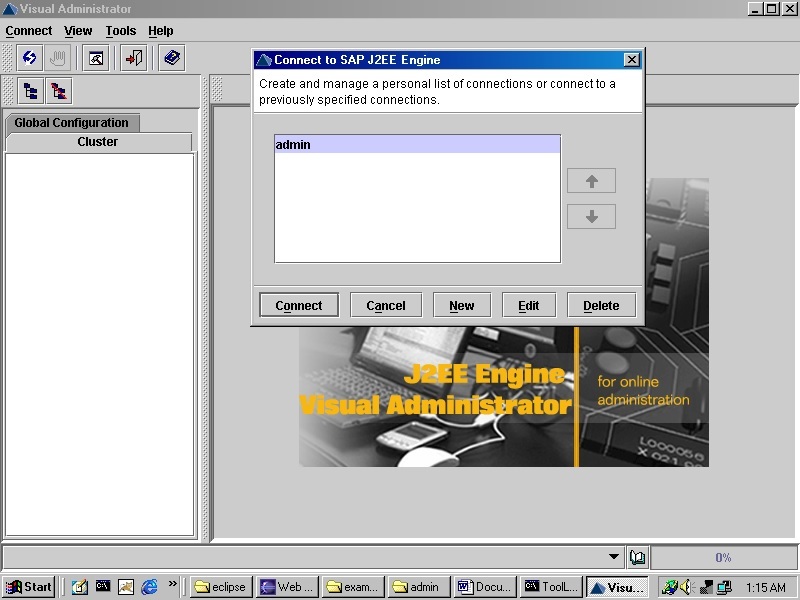 For configuration please follow as shown in screen shots. 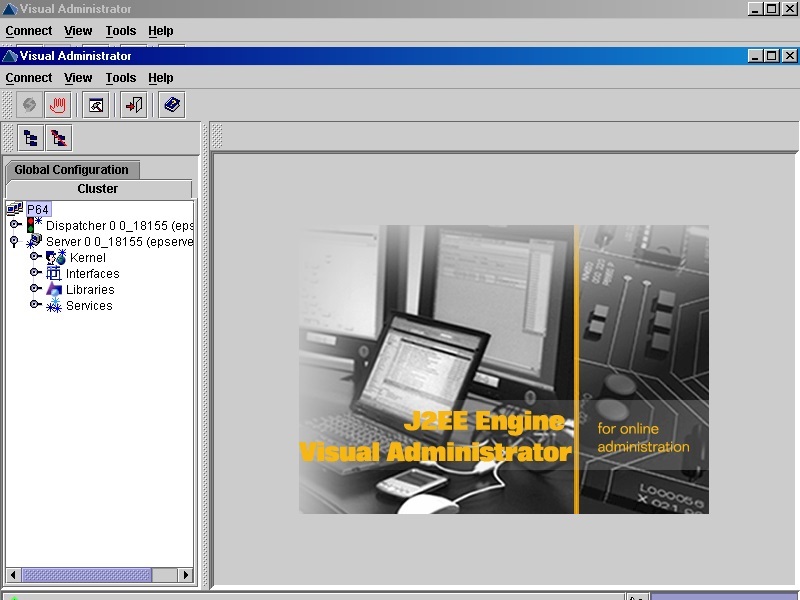 Log in to SAP Visual Admin. Provide the credentials and click on connect. Expand the server 0 Node. Then expand the Services Node. Select the SLD Data supplier. 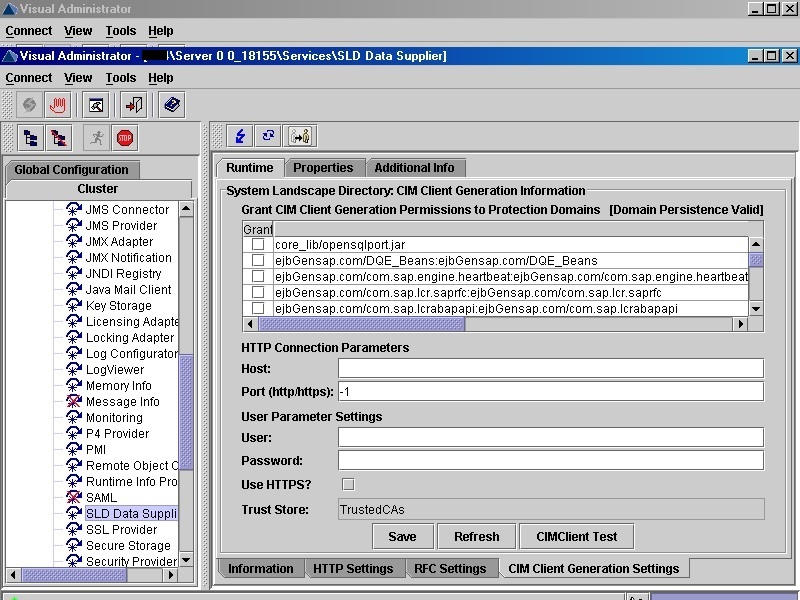 Select CIM Client generation Settings. Provide host name , port number, and Credentials of Admin. Now select RFC settings, provide the details as shown below. sapgw00 ----> 00 is system number.